Unwanted hair can sometimes effects ones confidence. You may feel you have to hide away under layers of clothing or may even shy away from social situations. If you have tried everything from waxing and depilatories to bleaching and tweezing, you may despair of an effective – and permanent – solution. Laser hair removal is the solution for which you have been looking. Can Laser Hair Removal Help Me? Yes! 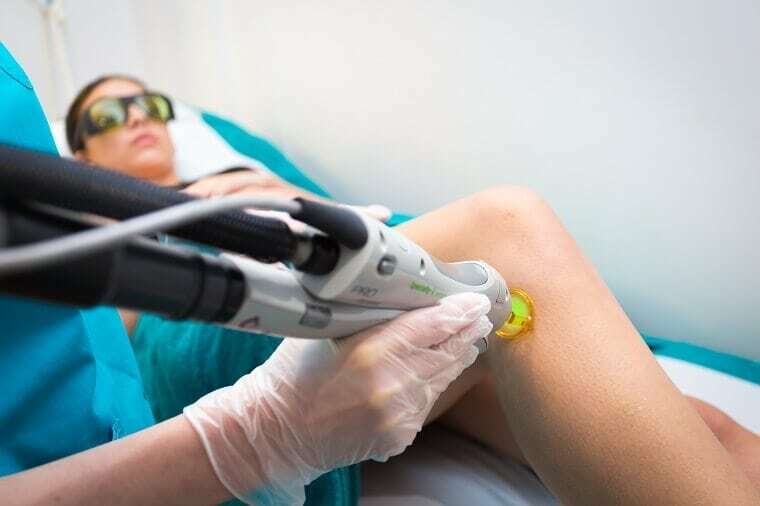 While our expert team will always conduct a patch test to ensure you will receive the optimal, safe, results you need, laser hair removal is appropriate for all skin types. The treatment works to remove unwanted hair anywhere on your body, including: eyebrows, upper lip, chin, jaw, back, shoulders, legs and bikini line. As mentioned, you’ll have an initial consultation to discuss your needs and goals. You’ll have the patch test, and your specialist will advise you to avoid plucking or waxing for six weeks prior to your session. This is because this technique targets the roots of the hair, which may be temporarily eliminated with these removal techniques. During your treatment, a laser hair removal specialist simply cleanses and shaves the target area. Then, a laser is applied to the skin. You might feel a tingling sensation, but we’ll take care of that with some soothing aloe gel. We recommend a course of six to nine treatments for permanent reduction of unwanted hair. After your first session, you can usually have another within six weeks. Your specialist will recommend the best course of action for you and your skin. More questions about laser hair removal? Give us a call!